The heroes on the half-shell are taking a slice out of their parent company’s business. Viacom, the parent company of media properties such as Paramount Pictures and MTV, slashed its forecast for its coming quarter due to the disappointing release of the new movie Teenage Mutant Ninja Turtles: Out of the Shadows. Additionally, the company said business from it’s new streaming video on-demand service had been impacted by the public board battle between Chairman Sumner Redstone and CEO Phillip Dauman. It now projects third quarter earnings per share to come in at $1.00 to $1.05 per share, analysts were projecting $1.38 per share for the quarter. 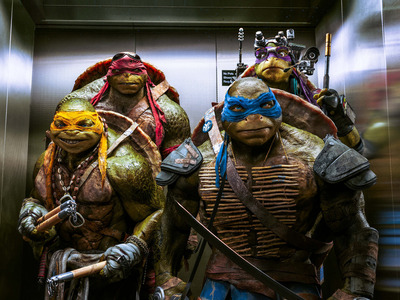 Viacom said that the domestic performance of the latest Teenage Mutant Ninja Turtles release was disappointing, but the company has a strong slate in the months ahead and looks forward to improvement at Paramount. The company also previously expected to complete a significant SVOD agreement in the quarter, but said the recent and highly public governance controversy negatively impacted the timing and its ability to achieve an optimal outcome with partners. Viacom said that it expects domestic ad sales declines for the third quarter to be approximately 4%. The company also said it has substantially completed a very successful annual advertising upfront sales process. Viacom’s stock was down roughly 1.2% in pre-market trading following the news as of 9:00 a.m. ET, at $44.50 a share.